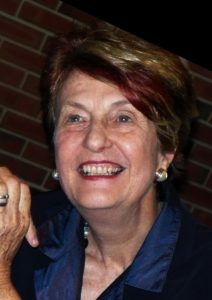 Helen Caldicott, M.D. (b.1938) is an Australian physician and anti-nuclear advocate. She is Founding President of the Nuclear Policy Research Institute (now Beyond Nuclear), President of the Helen Caldicott Foundation (2008) to inform the public about dangers of nuclear power, President of Physicians for Social Responsibility (to educate doctors about nuclear power), founder of Women’s Action for Nuclear Disarmament (now Women’s Action for New Directions, to reduce violence and militarism), and Founding President of Standing for Truth About Radiation Foundation. Her 13 books include Nuclear Madness (1979; revised 1994), Missile Envy (1984), Nuclear Power is Not the Answer (2006), War in Heaven: The Arms Race in Outer Space (2007), Carbon-Free and Nuclear-Free: A Roadmap for US Energy Policy (2007), If You Love This Planet: A Plan to Save the Earth (2009), Crisis Without End: The Medical and Ecological Consequences of the Fukushima Nuclear Catastrophe (edited, 2014), and Sleepwalking to Armageddon: The Threat of Nuclear Annihilation (edited, 2017). She has appeared in numerous documentary films, received 21 honorary degrees, and been awarded many prizes.